Family Optical Centre, Inc. has officially launched their first ever online presence at www.familyopticalcentre.com. Family Optical Centre has been a part of the Rockford-area community for over forty-five years and currently operates three locations throughout the area. If you're in the market for some new frames and/or lenses, you might be interested in taking advantage of some of their Special Offers too. 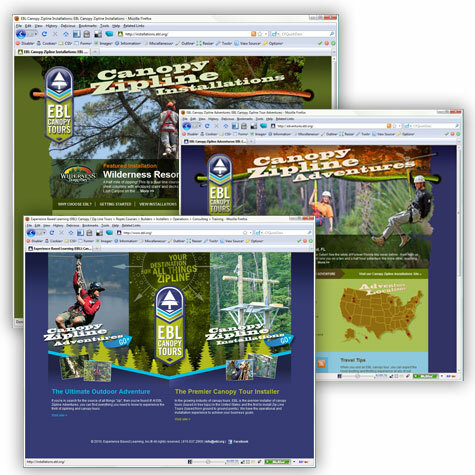 The site is powered by Adobe® ColdFusion® and Microsoft® SQL Server with online content management provided via Mura CMS. Talented artist and designer Greg L. provided an elegant, yet simple design which I quickly and easily converted into HTML, CSS and Mura CMS templates. 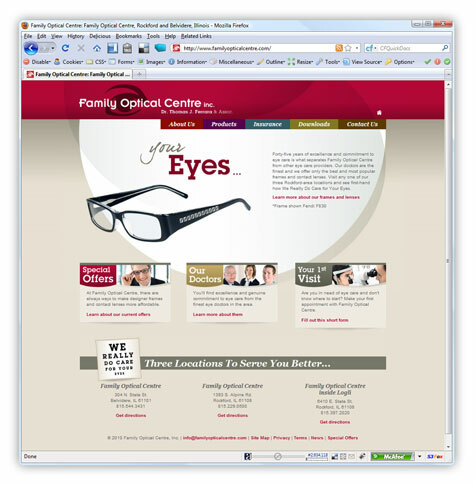 Congratulations to the team at Family Optical Centre on your new online presence. Best wishes for continued success!